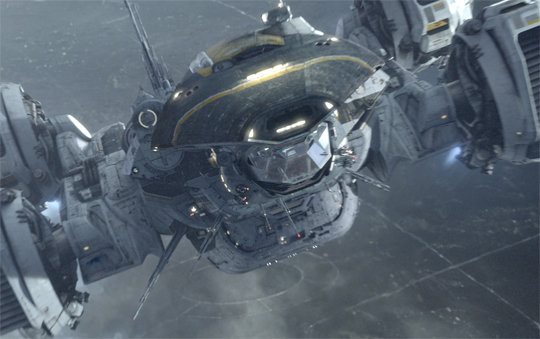 Idris Elba Describes his Role as Captain of the Prometheus in Ridley Scott's Epic Return to Sci-Fi! 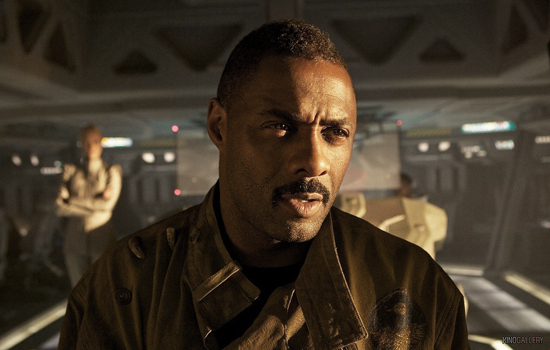 British actor Idris Elba recently shared some pretty revealing details about his role as captain of the Prometheus in Ridley Scott's return to sci-fi. The actor sat down with IGN Movies & gave up some new details on Janek, the character he plays in Scott's highly anticipated Alien prequel. Prometheus arrives in 2D, 3D & 3D IMAX theaters this June 8th & also stars Noomi Rapace, Michael Fassbender, Charlize Theron, Sean Harris, Kate Dickie, Rafe Spall, Logan Marshall-Green & Guy Pearce. Hit the jump for the details. Even having worked with Ridley before, was it exciting to get a call that he wanted to do another Alien movie? Idris Elba: "Definitely. I love working with Ridley and his return to a genre that everyone wants to see him in is exciting. It feels really great to be a part of it." Idris Elba: "He called me and said he'd like me to get involved in the film and he sent me the script. We got on the phone and talked about what his ideas were for the character and it was really pretty straightforward. He was definitely really excited and pumped about doing this film, and I could tell that." Was it still an Alien prequel then? 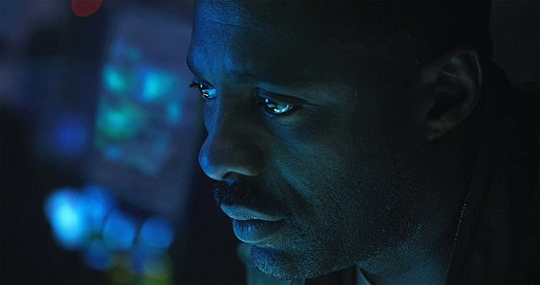 Idris Elba: "The word Alien never came up, and it hasn't really. The only time he's ever sort of compared it was just in terms of describing that the DNA of the Alien film is definitely imprinted in this film. That was evident from the script, but we didn't really talk about that film at all. That's been done, but this is something different. That was his point of view, that we were doing something different." Ridley's made two of the most important sci-fi films of all time. Is there an added sense of responsibility on your part, on top of just working with Ridley, to help him deliver a third? Idris Elba: "There's always a responsibility to make sure you show up and make sure that the character you're playing is completely brought to life. I don't think you can take responsibility in terms of the hierarchy of film. Maybe for him, perhaps, but I doubt even that. Looking at it that way is much more for the people who enjoy the films than the people that make them. Our responsibility is to make a good film and be as artistic and as courageous as you can be. And Ridley's certainly one of the most courageous filmmakers ever. We know that from his history. But he never lets it dictate what he does next, and it doesn't inform us as actors about what we do. But I definitely feel the fans are expecting a lot, and I want to please the fans, I don't want to let them down. But I never want to let them down, no matter what I do." Janek seems to be a little quieter than some of the crew. What did you make of him? Idris Elba: "He is an engineer. He works on these huge vessels that do long-haul space trips. 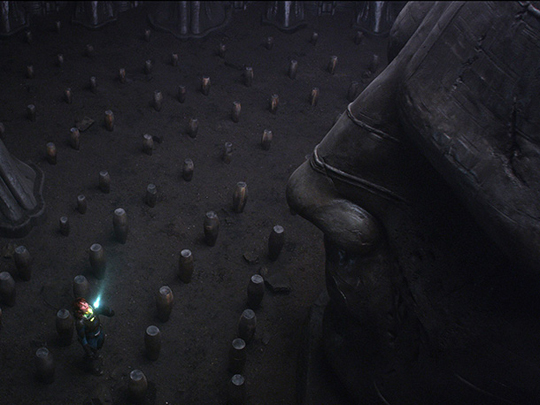 He's the captain of Prometheus and there isn't much to him. He's like a longshoreman. There's no real mystery with him, I don't think, and why would there be? His job is pretty straightforward. He has a character and personality that will reveal itself in the film. But his purpose on that ship is to fly it and to get it from point A to point B. He's not really involved in the politics that ensues in the film." So he's there for the paycheque? Idris Elba: "There's an interest because what happens on that ship affects everyone on it, but yeah essentially his job is to get everyone there. It's a mission and he's basically the eyes of that vehicle. Things happen that do affect everybody in one way or another and as the man that has to deal with the ship, he has certain responsibilities to uphold and fulfil. I had a fantastic time playing him and it didn't need to be complex, but it was so enjoyable. It's neither a big part nor a small part, it's just a great part. It's a part that I think plays a very important role in the film." Did you find yourself engaging with the film's themes? Idris Elba: "I guess we all, somehow in our head, wonder who would we become or what would we do if our very existence as human beings were to be challenged. How would we deal with that? That's definitely part of the DNA of all Ridley's films. He looks at human existence and how we cope and extreme and sometimes bizarre situations. I think with this film it's no different. For me, it's definitely an examination of what Captain Janek has to go through, where his morals lie and what he should do. I've never flown a spaceship, and never even been on board of one, but during this experience I got to really understand that if I were out there in that world, flying around in a machine, and something as extreme as what happens to these people were to occur, what I would do. It's really fascinating and engaging for me as an actor. I guess the writers really had a great time exploring those possibilities and I had a great time playing them." Does it add an extra layer to have that personal interest in those notions? Idris Elba: "I guess Ridley likes to work with actors and rely on their instincts, regardless of what's on the page. He really feeds off instinct, and his take on most actors he enjoys watching is different. What that does is it allows him in the edit room to continue creating. Everyone's different and everyone's different every single day. Today I'm looking for a parking spot, I've finally found one and I've got no coins on me. I'm not that pissed off, but on any other day I might be really angry about that. That's two different takes right there. In the edit suite, every director's dream is that he can still create his story and build." 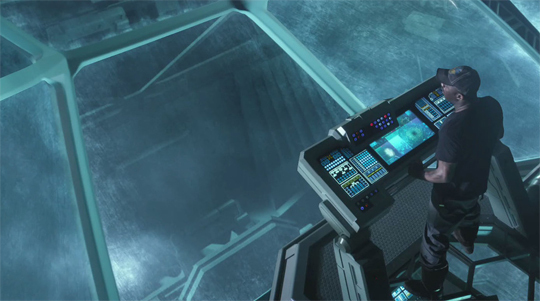 The sets are incredible – stepping onto that bridge set, it can't have been hard to play a space captain. Idris Elba: "Definitely. It makes it easy to bring ourselves to life. Every detail is taken care of and so much of it worked. I couldn't fly a spaceship to save my life, but because of the detail involved I'm sat there in front of this console that actually works. You press this button and something happens, that button and something else happens... And the thing about Ridley is he knows everything about the ship. He's designed it in his head and that's what makes him so special." Prometheus arrives in 2D, 3D & 3D IMAX theaters this June 8th & also stars Noomi Rapace, Michael Fassbender, Charlize Theron, Sean Harris, Kate Dickie, Rafe Spall, Logan Marshall-Green & Guy Pearce. Interview courtesy of IGN. I'm reading: Idris Elba Describes his Role as Captain of the Prometheus in Ridley Scott's Epic Return to Sci-Fi!Tweet this!